Our rural communities will thrive with active participation of residents. We saw significant success on July 11, 2014 with the first ever promoted community kitchen party to be hosted at Green Island Cove wharf. The event ended up being held at the neighbouring fishers’ gear shed and drew throughout the evening upwards of 200 people from under eight to nearly eighty years of age. It was truly a gathering to celebrate community, tradition and enjoy each other’s company at one of the busiest times of year. Music brings people together and we are blessed to have local people willing to share their talents. Guitars, accordions, ugly sticks, brooms, spoons and kajoons paired with a vocals of Clara and Loomis made for an incredible night where tradition thrived. I’ve always heard my grandparents talk about the old-fashioned time and this is likely the closest I’ll get to experiencing those community celebrations of food, song and dance. With fishing nets as the backdrop, songbooks distributed, the waltz, two-step and jigs began to play and the old wooden floor of the gear shed got some action. There was a little magic in the room that evening as we all embraced our small fishing community way of living, as those who came before us would always take time throughout summer to have a time. Even the little kids were eager to learn the dance moves. A tumble or two would not deter them. A group of men and women also treated us to a good old-fashioned square dance. This dance was once commonplace and now only a handful know all the moves. When these dancers took the floor, all eyes were on them. A couple of brave souls joined in with the group and learned the steps as they went. I believe everyone else wish they knew the moves, so they too could take to the floor. It has become quite clear that the success of our rural communities is about how we interact with the space we have in our everyday lives. I think ensuring that a gear shed or a wharf can also be the gathering place as they were pre-moratorium of 1992 is vital to maintaining and sustaining our outport communities. I must commend the leadership of Dr. Kathleen Blanchard, President and Founder of Intervale. This organization produces programs and services in the fields of conservation, heritage interpretation, and sustainable development. Her interest in sustainable fisheries and community economic development was the driving force to documenting and organizing with fishers Loomis and Brenda such a tremendous event, which can be shared with others. The success of the evening has already sparked talks to host another, possibly make this an annual event like the Conche and Goose Cove Garden Parties. The evening also stimulated discussion of hosting another Come Home Year in 2016 – one for Green Island Cove and Pine’s Cove. The dates have been set, so mark your calendars – August 15-21st, 2016 because home is where you will want to be. Please join us! 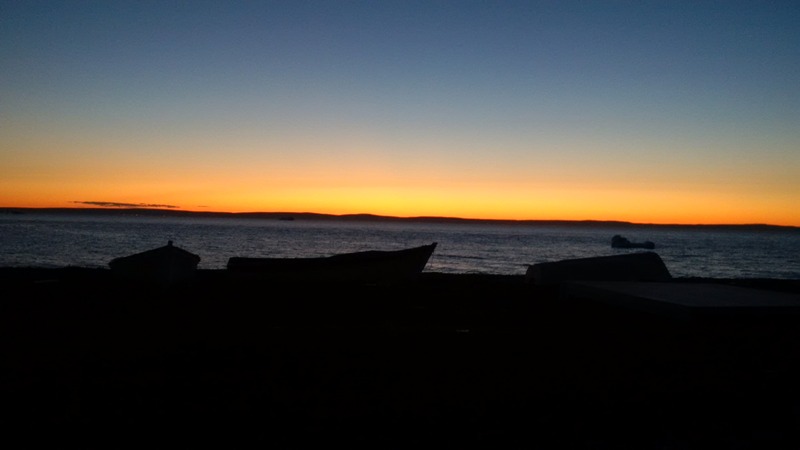 Posted on July 20, 2014, in Art, Community Economic Development, Heritage, Tradition and tagged Accordion, come home year, community, dance, Fishery, Great Northern Peninsula, kitchen party, Music, Newfoundland, Song, square dance, tradition, waltz, wharf. Bookmark the permalink. 1 Comment.